Even with increasing costs and decreasing dollar value, an Italy vacation can still be affordable. Here are tips to help you save money on your trip. Visiting Italy's top three cities: When visiting Rome, Venice, or Florence, stay outside the city and go in by train for a day trip. You'll usually get better value accommodations and restaurants. When to travel: Summer in Italy can be hot and crowded, especially on the coast. Consider traveling in spring or fall. You're more likely to find bargains and fewer tourists. If you spend time indoors in museums, try winter travel for the best bargains. Save money on food: Many restaurants offer a reasonable set menu at noon. Eat your big meal then and have pizza or a picnic in the evening. 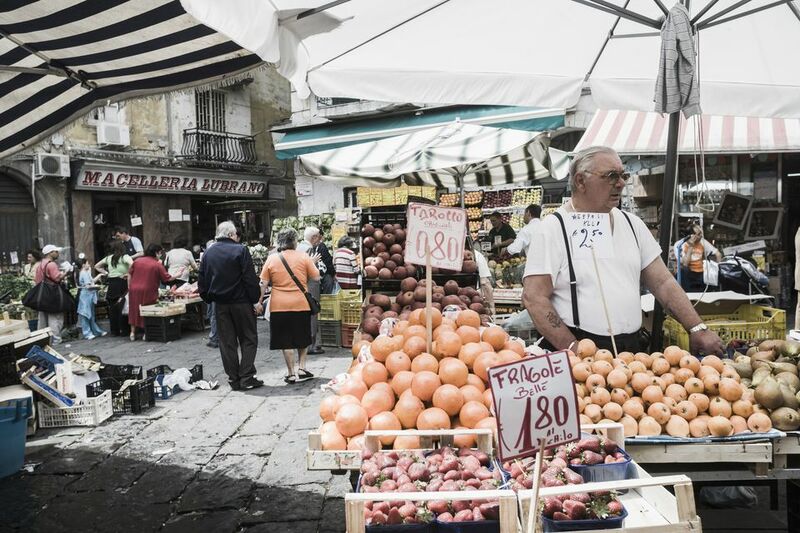 Shopping at local food markets not only helps you save money but allows you to mingle with locals. When eating at a restaurant in a tourist area, walk a couple blocks away for better prices. If breakfast isn't included in your hotel rate, go to a local bar for your coffee and pastry. In many cities, sitting at a table will cost more than standing at the bar. Save money with vacation rentals: Self-catering vacation rentals and agriturismo stays offer an affordable alternative to hotels. They often cost less and give you the option of eating some meals at home, further savings. Go off the beaten track: Each region of Italy has interesting things to see and do. If you've been to the top destinations, try someplace less frequented by tourists. A budget option is staying on the outskirts of Rome. Flavor of Italy Country Inn is in the countryside just a 20-minute commuter train ride from Piazza del Popolo. You can also save money on dinner. A good dinner can be had at a local restaurant for much less than the equivalent dinner in Rome, without the tourists. Rome has hostels, B&Bs, budget hotels, and lodging in monasteries. These accommodations are often basic but affordable. Besides shared rooms and baths, many offer private double rooms. Avoid the main tourist areas for restaurants. There are plenty of good sandwich and pizza by the slice options. Drinks, bottled water, and picnic items are less expensive in stores than in bars or food carts. If you're willing to walk further from the center, you'll find good, inexpensive restaurants where locals eat. Rome can be enjoyed without spending lots of money on admissions. Pick one or two museums or monuments you really want to see and spend the rest of your time wandering around the city. If you do plan to go to several sites or use public transportation, consider buying a combination ticket or discount pass. 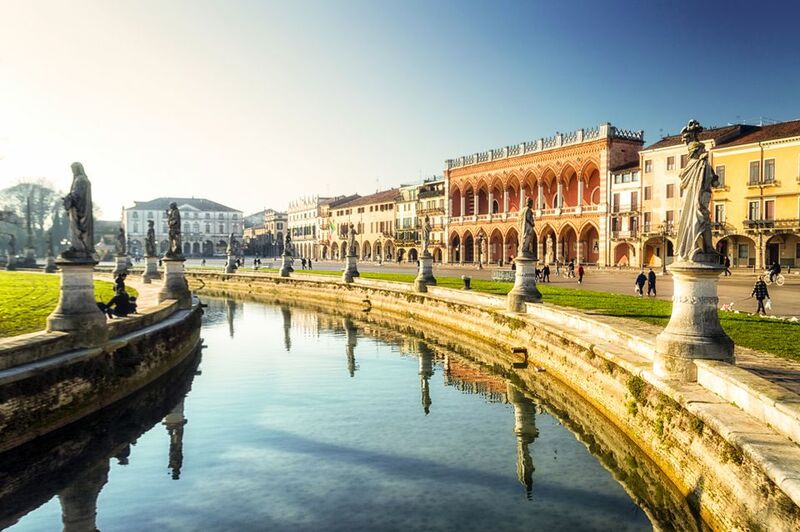 A tip is to stay in Padua, where there are more reasonably-priced restaurants and hotels and take the train into Venice for the day. Chioggia, on the lagoon, makes a good choice in summer when the tourist boat runs from Chioggia to St. Mark's Square. There are hostels (not just for youth) and campgrounds in and near Venice. Venice is meant to be explored on foot. The first thing you need is a good map, but even with that, you're likely to get lost. If you plan to travel much by vaporetto (water bus), you can buy passes at the ticket office. The number 1 vaporetto along the Grand Canal is a good way to see Venice from the water and is especially nice at night. Avoid gondola rides and water taxis. Being in the heart of Tuscany, there are many choices outside Florence that cost less. Consider an agriturismo or vacation rental and take a bus or train into Florence for the day (both the train and bus station are within easy walking distance of the historic center). A good choice is staying at Le Torri Vacation Apartments and taking the bus to Florence. On the train line, the cities of Prato or Pistoia could make reasonable choices. Montecatini Terme, just under an hour by train, has many inexpensive hotels. Sitting at a bar on Piazza della Signoria can be very expensive. Restaurants on or near the square are costly, too. Walk just a few blocks from the tourist crowds and you'll find less costly options. There are many inexpensive places to eat in Florence, many of them popular with locals. Florence has an excellent central covered market, worth a visit even if you don't want to shop. It's a great place to assemble a picnic lunch. Yes, even Tuscany has bargains and hidden places. The northern Tuscany regions of the Garfagnana, north of Lucca, and the Lunigiana, farther north, have breath-taking scenery, great hiking opportunities, castles, and small medieval villages and towns. You can still be within day trip range of the coast, including the popular Cinque Terre, and Tuscany cities like Lucca and Pisa. One of the best places to eat in the area, Agriturismo Spino Fiorito, is in the Lunigiana by the border of the Garfagnana. They have inexpensive homemade meals and four nice-looking rooms. It's in a beautiful, peaceful setting and has a swimming pool. For those who prefer central Tuscany, there are many bargains to be had with self-catering vacation rentals, like Le Torri Vacation Apartments and agriturismo lodging. Self-catering is ideal for families or small groups traveling together. Tuscany has many local festivals and sagra, especially in summer (look for posters announcing these events). Festivals are a free source of entertainment and there's often inexpensive local food, a good place to try regional specialties. If you've been to Italy before, maybe it's time to get off the beaten tourist path. You can save money on accommodations, restaurants, and bars - enjoy a drink outside without paying extra for table service. Here are a few suggestions based on experience. Val Chisone in the Italian Alps: The peaceful and beautiful Val Chisone is a hidden treasure. You can stay at the inexpensive Bella Baita Bed and Breakfast with wonderful hosts, great food, and breath-taking views. Brisighella, Emilia-Romagna: The northern Italian region of Emilia-Romagna is known for its outstanding cuisine. The medieval town and spa center of Brisighella makes a good base for exploring nearby towns and cities of Eastern Emilia-Romagna. Urbania in Le Marche: Le Marche is a beautiful region in central Italy. Urbania is a lively medieval town where you can experience Italian life in a friendly small-town atmosphere. It's in a scenic position in the hills, but the town itself is flat, making it pleasant for walking. Urbania has good restaurants, bars, and cafes, making it a good base for exploring the region. Abruzzo Region: The Abruzzo region, south of Le Marche, is a remote region often overlooked by tourists. It has spectacular natural scenery, medieval castles and villages, monasteries, and Roman ruins. Puglia, the heel of the boot: Although tourism is picking up in Puglia, it's still a relatively inexpensive and less crowded region to explore. Much of Puglia is coastline with beaches. Inland are archaeological sites, vineyards, Baroque architecture, and trulli, cone-shaped houses. What is the Centro Storico and What Will You Find There?